Main Street was lined with crowds of people bundled up against the cold to see Santa's official arrival. Dec. 4, 2016 6:00 p.m.
Santa and the missus wave to the crowds lined up along Main Street during the annual Santa Claus parade in downtown Penticton Saturday afternoon. Santa Claus officially arrived in Penticton Saturday afternoon to a warm welcome from the large crowd lining Main Street and bundled up against the chilly December winds. The annual parade organized by the Downtown Penticton Association kicked off with the pre-parade Okanagan Dance Studios warm up to get everyone in the mood. Executive director Lynn Allin of the association expected somewhere around 60 performers would be taking part. Leading the parade were Penticton RCMP, Crime Stoppers along with the Penticton Fire Rescue Penticton and District Search and Rescue. Penticton royalty were on the award-winning Penticton Peach Festival Float. Other participants included the Concorde Retirement Community, Penticton Panther Royal Canadian Air Cadets, the SPCA, Springers Gymnastics is joining alongside the floats which also include Earls Penticton, Penticton Towing and Recovery, ATD Hobbies, Penticton Park Rangers and special guest Helena Tallon, the reigning Miss Petite Central B.C. for 2016/17. Peach City Ponies is bringing some ponies through the route as well. As well this year kids had an opportunity to have a personal visit with Santa at the Lakeside Resort. Have a look at photos (below) sent in to the Penticton Western News from the public. 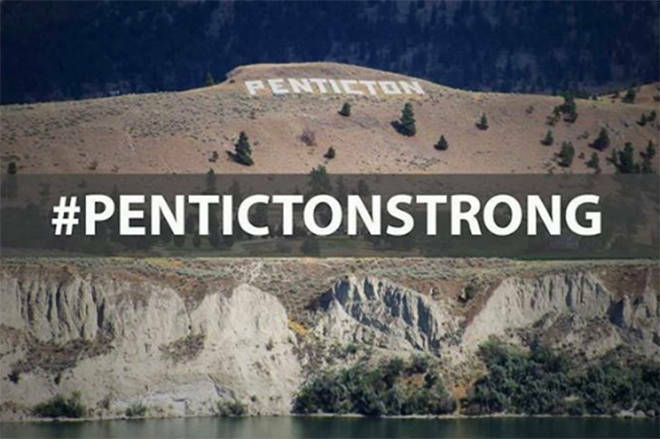 Email yours to editor@pentictonwesternnews.com to be added to the gallery.